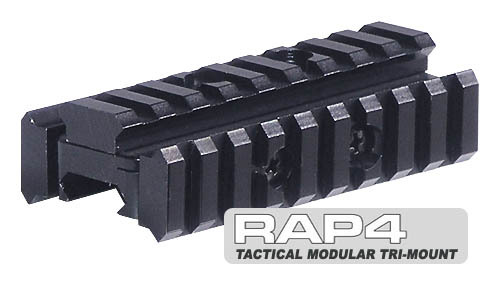 The tactical modular tri-mount rail is the latest design for those that want have full control over their mounting system. All the rails are fully modular and you can mount them any way you want. You can choose to either have one rail or three rails. 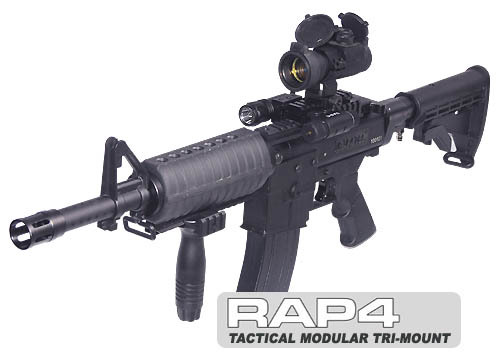 This mount system allows you to choose to mount a scope only or add the additional rails and able to attach laser, flashlight and other attachments. - compatible with all weaver, 20mm, 7/8 and picatinny rails.